The MR in Radiotherapy event will bring leaders in the field of MR imaging based solutions for radiotherapy applications together. It will inform best practice and practical approaches to overcoming challenges within these inherently symbiotic specialties. This will create a forum whereby specialists can educate and inform through a wide range of exciting talks and discussion, for networking opportunities with experts and for gaining fresh insights into the solutions of others. This event will be useful to radiographers (particularly those with a specialist imaging bent), physicists, and clinical oncologists- registrar/consultant clinical oncologist. 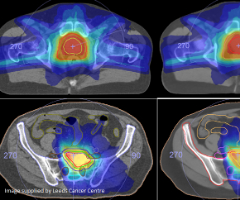 Researchers are invited to submit abstracts for oral presentations relating to all areas of MRI applications in radiotherapy including: educational, case reports, audits and research. This meeting will feature an extensive range of talks, discussion and networking opportunities with experts and researchers in the field of MRI in radiotherapy. This is an opportunity to share your latest advances with colleagues who are actively involved in MRI and radiotherapy. Abstracts will be peer reviewed. A prize will be awarded for the best presentation. If you are successful we will invite you to carry out a 20-minute presentation of your research at this event (15+5 minutes for discussion/questions). Please email conference@bir.org.uk with your abstracts (up to 400 words) in Word format.